Scientists have just achieved a big breakthrough on an absolutely incredible creature that lived 170 million years ago. Scientists have just made a remarkable discovery about an absolutely massive crocodile-like creature that lived more than 100 million years before dinosaurs went extinct. The study was published in the journal PeerJ and examines the species Razanandrongobe sakalavae, which literally means “giant lizard ancestor from Sakalava region” and describes a species that lived 170 million years ago on the island of Madagascar. This huge reptile would have had serrated teeth capable of tearing through bones and tendons, much like the T. rex. It was an absolutely massive animal that is the earliest and largest member of the Notosuchians, an ancient group of croc-like creatures that had a distinct skull shape and powerful, straight legs unlike what can be seen on modern day crocodiles. Scientists have known about this creature, but because of a lack of fossils they weren’t able to classify it with any confidence. New fossil finds have enabled them to find its place in ancient history, however. “Little is known about the origin and early evolution of the Notosuchia, hitherto unknown in the Jurassic period,” the PeerJ statement reads. 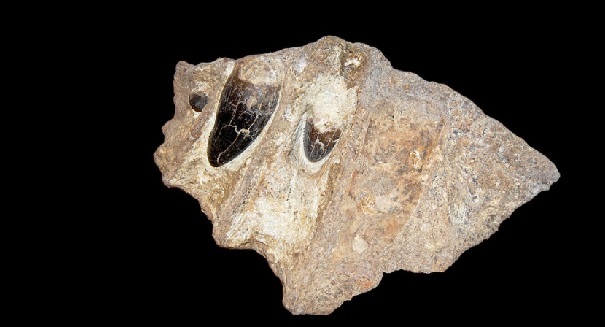 “New research on fossils from Madagascar, published in the peer-reviewed journal PeerJ by Italian and French paleontologists, begin to fill the gap in a million-year-long ghost lineage.